R. Miller Adams focuses his efforts on the private equity component of Triad Capital Partners. Miller started his career practicing law in a downtown Seattle firm focusing on business, sports, and entertainment law and early stage technology companies. He then spent a decade as a senior executive at The Boeing Company developing and managing a broad technology strategy that included both internal technology planning for the Phantom Works business unit and an external enterprise technology acquisition strategy the evolved into the Boeing Global R&D Strategy. His strategy included a technology focused global venture capital fund, where Miller served as president of Boeing Phantom Works Investments, Inc. In addition to the venture fund, the Global R&D Strategy included a Technology Sourcing, Evaluation and Application unit that brought a portfolio of technology to Boeing valued at over $1 Billion USD; a robust Industrial Participation technology strategy supporting billions in military sales; and a global R&D strategic partner strategy that included partnerships and joint ventures with companies, universities, research laboratories and other technology providers throughout the US, Europe, and Asia. While at Boeing, Miller also opened the company’s first international R&D facility and created an internal technology incubator strategy designed to create business opportunities around Boeing technologies. The incubator strategy resulted in several “Spin-Outs”, “Spin-Ins” to various business units and numerous licensing transactions. Following his successful career at Boeing, Miller joined Integral Systems, Inc., as Executive Vice President for Corporate Affairs, General Counsel and Secretary. Integral Systems, (NASDAQ) is the world leader in satellite command and control technologies. Miller directed all legal work for the company and advised the board of directors. He was responsible for a broad array of corporate functions including Human Resources, Facilities, Government Compliance, Classified Facilities, Corporate Security, Contracts, Quality, Export Compliance and Procurement. Integral Systems was successfully sold to Kratos Defense and Security Solutions (NASDAQ). Following the sale of Integral Systems, Miller joined GR Nano Materials, a specialty materials company in the paper industry as its president and CEO. Miller assisted the company in securing Bridge Round and Series A financing. GR Nano is a portfolio company of Triad Capital Partners. Miller earned a BA from Seattle University and a JD at the University of Puget Sound School of Law (now Seattle University School of Law). 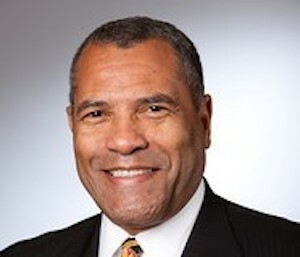 Miller has a long history of business and civic involvement including many board and committee roles such as The Rainier Club , President; Tech4America.org, Convening Board Member; Church Divinity School of the Pacific, Trustee and Chair of Audit Committee; Museum of History & Industry, Trustee; and PONCHO. Mr. Adams is admitted to practice before various state and federal courts and is a member of local and national bar associations. Miller earned the rank of Eagle Scout at age 15 and was a member of the BSA 1968 Report to the Nation Team (presenting to both President Lyndon Baines Johnson and British Prime Minister Harold Wilson).